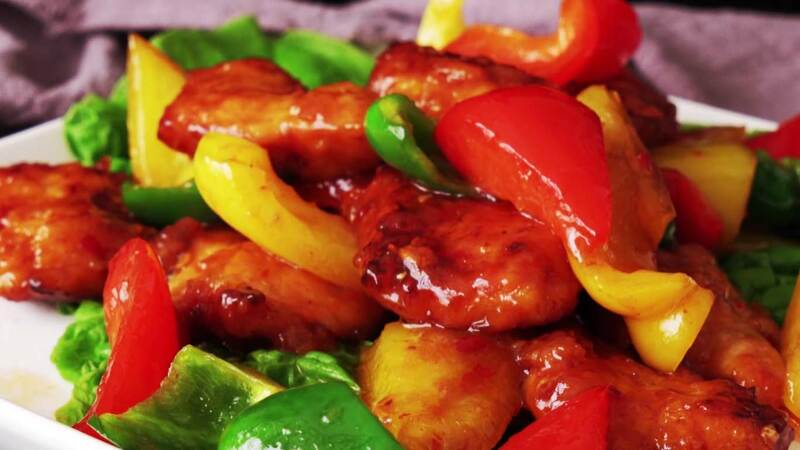 Today, I would like to introduce a wonderful recipe called Sweet And Spicy Chicken. Looks good? Let's make it together! 1. Slice chicken on the diagonal. Mix together the ingredients for sauce 1. Marinate the chicken in the sauce for 30 minutes. 2. Cut bell peppers into bite-sized pieces. Combine together with ingredients from sauce 2 and set aside. 3. Coat the marinated chicken with potato starch. 4. Fry the chicken in oil until done. Then add the bell peppers and stir-fry for 1-2 minutes. 5. Finally, add in sauce 2 and cook until it starts to thicken. Serve immediately.